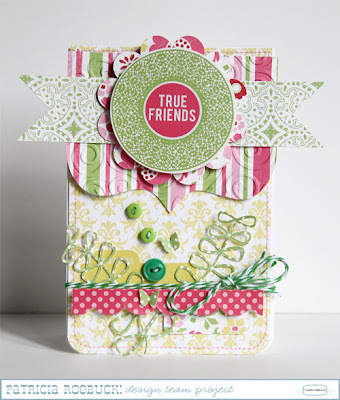 Carta Bella produces beautiful, high quality, textured papers in stunning colours and lovely designs. Some of these belong in your stash for the little girls in your life, or just for fresh, feminine layouts and cards. Kit contains nine 12x12 Double-Sided Textured Papers, one 12x12 Alphabet Sticker Sheet and one 12x12 Element Sticker Sheet. Acid and Lignin Free. 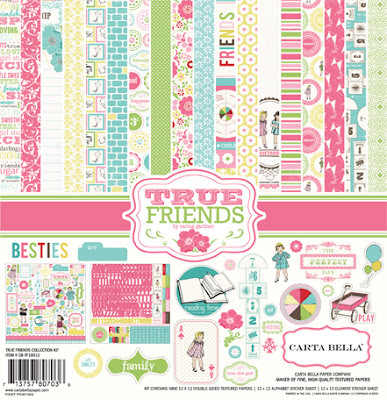 Papers $1.90 per sheet, stickers $7.00 per sheet.